Svetlana chatted to her neighbour in the 200 yard queue for the bakers. Rumours were that the baker had received a flour delivery last night so she had been there since dawn, but the line had not moved.. Supplied had been difficult to get lately and she missed her husband’s helping hand. Her last view of him was marching East with the rest of the hastily formed Militia regiment. They had gone to secure supplies . He had turned to wave, recognisable in the mass by the limp he had acquired the previous time the Mother Country had been invaded from the West. That was the last Svetlana or anyone else had seen or heard of the regiment. She glanced up curiously as the heard a rumble of thunder and the skies darkened slightly. Her bunion had not indicated rain today. Seconds later the bakery, the line and much of the city was shaken to the ground by the weight of shells in the largest prepared bombardment of the war. General field artillery, heavy siege guns and massed rail based ordinance firing from over the old border rained down on the historic regional centre. Two hours later the shaken survivors crawled from their cellars and the rubble to be met by combat and assault engineers aided by flame throwing tanks in the van of a nine division assault. Resistance was sporadic and ineffectual. Finland: The Fins continue to press the right flank of the Soviet line facing them in the south eliminating a front line division. AGN/AGC. The Panzers are checked by the massed ranks of Soviet armour and the isolation of 7th Panzer. 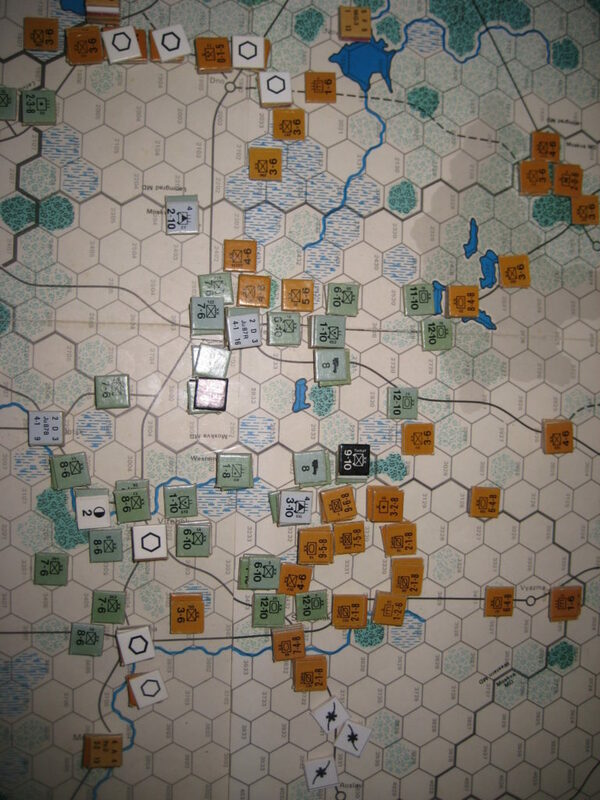 They avoid direct confrontation instead eliminating the heroic survivors of the Veluki Luki fort line and clearing the way for force marching infantry to close to the soviet line. Vitebsk is encircled but not assaulted. Meanwhile a panzer/motorised detachment seeks to pin the Soviet armour and re-establish contact with the 7th. Further west the militia detachment is overrun and Minsk surrounded and taken with a massive assault which guarantees victory. 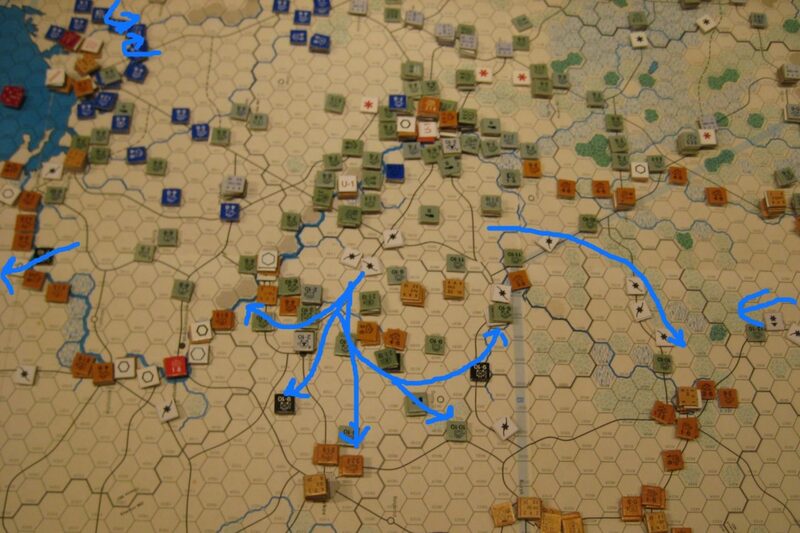 The Bialystok pocket is reduced to a one hex stack of armoured divisions and cadres. AGS The noose tightens around Kiev as the panzers secure more of the East bank clearing away resistance and enlarging the bridgehead. 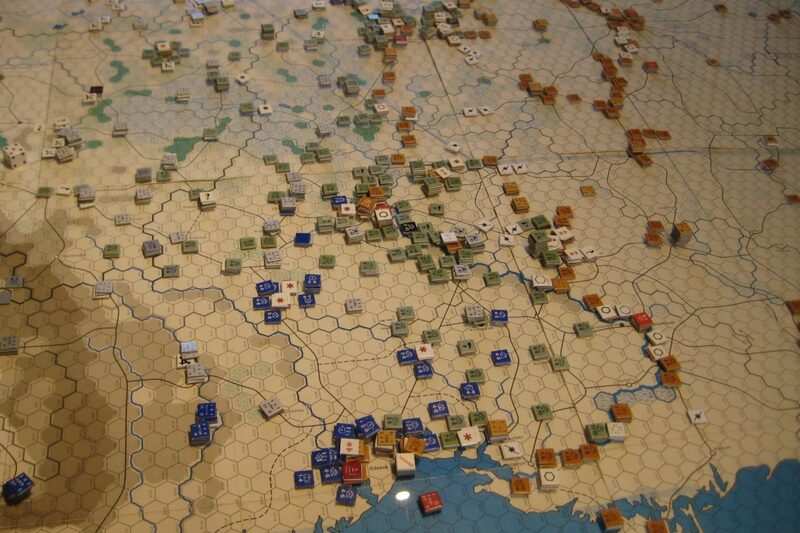 The Cherkassy crossing defence is surrounded and isolated. West of the city infantry eliminate the remainder of the hapless outer defence ring. SS motorized division SSLAH reaches the suburbs of Nikolayev; isolating Odessa. In fact most activity this turn across the whole front has been one of consolidation and clearance . Other than the lone stack at Bialystok there are no Russian forces west of the front line from the Baltic to the Rumanian border and only a few stranglers outside of the Odessa defence cordon. Luftwaffe. 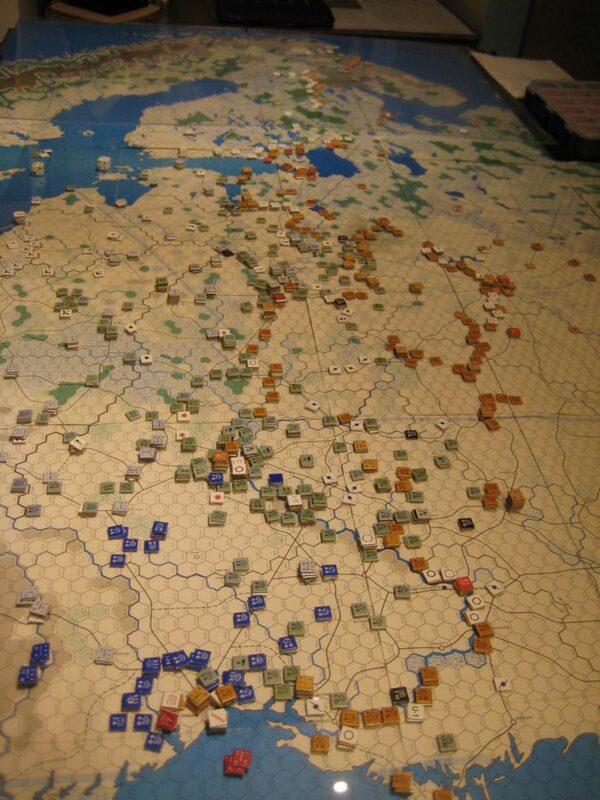 With only minimal assistance for Attack Support the Luftwaffe intensifies the destruction of the soviet rail net. 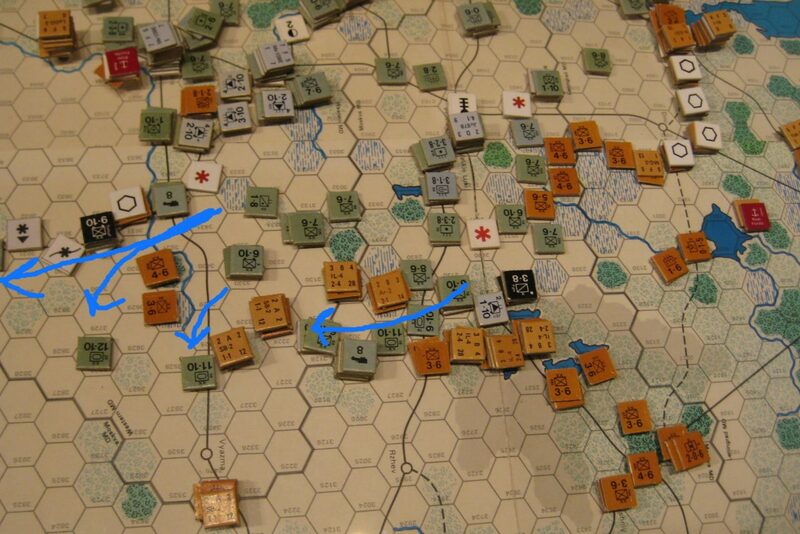 In total the Axis launch 6 overuns, 22 guaranteed attacks (mainly against isolated remnants) and 8 diced attacks. Losses are Soviet Unisolated 43 attack factors, Isolated 151 AFs for a total of 194.